May 1stmarked the 75th anniversary of the Battle of the Atlantic during the Second World War, during which Germany sought to isolate Britain, denying her vital war material, food, fuel and reinforcements by severing the Atlantic shipping lanes. Distinguished Sunderlander and Air Force Association Life Member, Dudley Marrows DSO DFC Legion de Honor was an aircraft pilot during the Battle. He recalls the day he flew his Sunderland through an almost 14-hour patrol, engaging four German submarines and sinking one of them. In an act of compassion, Dudley and his crew dropped a dinghy to the surviving U-boat crewmen in the water. 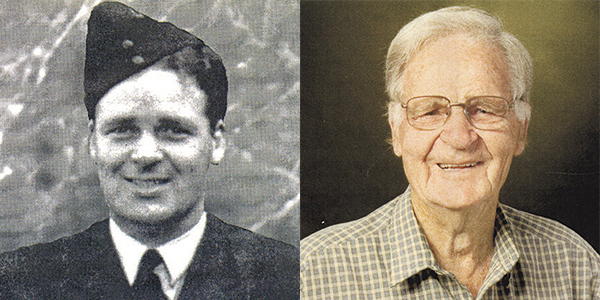 Years later, he met the commander of the submarine he had sunk, Wolf Stiebler, and the two became friends. The Battle reached its climax in early 1943, as the Allies sunk some 100 German U-boats in the first five months of the year, rendering the German blockade ineffective. This was not the end of the Battle of the Atlantic but it was the decisive moment. Below: Four of the original Sunderland Aircraft Captains of No. 10 Squadron, RAAF in 1939 at Pembroke Dock, Wales (AWM 128163).